The 3M SD-200 is a compact, lightweight sound level meter designed for measurement of workplace and community noise levels. 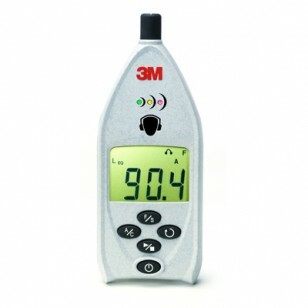 The Sound Detector SD-200 includes key features for the assessment of workplace noise levels, including integration which computes the average sound pressure level. In addition, the SD-200 has LED indicators that flash green, yellow and/or red when preset thresholds have been reached. The rechargeable lithium polymer battery helps to lower the total cost of ownership versus other sound level meters that use replaceable batteries. The Sound Detector SD-200 kit includes the meter, 53-575 USB Cable and SD-WS Windscreen with User Instructions translated into languages for United States, Canadian and Latin American Regions. Works very well Review by Steve W.